This is not your average tiara! This amazing crown is made with Authentic Austrian Crystal and is plated with 18k white gold. It is absolutely stunning and photos do not do this piece justice! 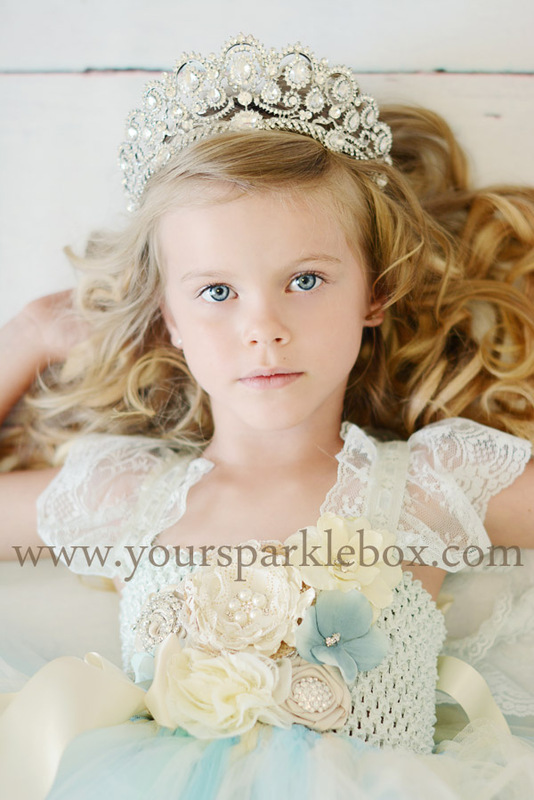 The crown is oversized and will be a good choice for girls to adults due to the weight and size of the piece. It is easily secured to the head with a few hidden pins and will not slide or move your completed hairstyle. This is a wonderful choice for a bride who is looking for a statement piece.